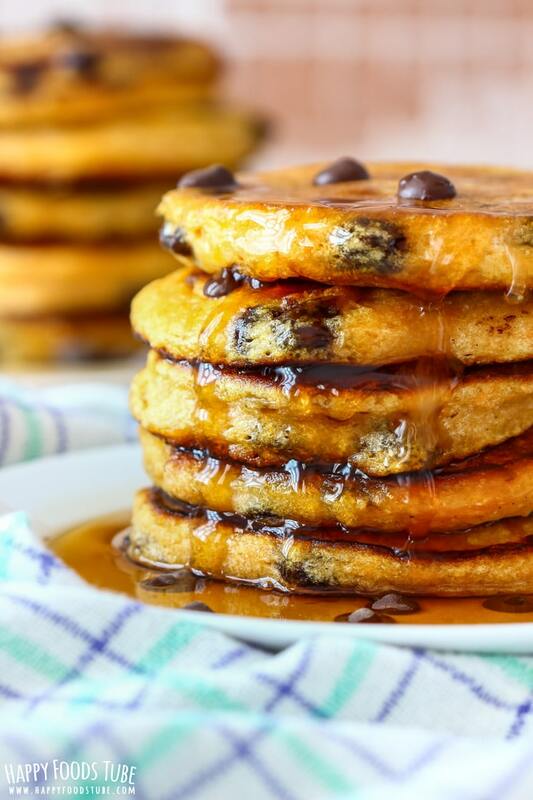 Chocolate Chip Sweet Potato Pancakes are one of the weekend breakfast recipes you will immediately fall in love with! 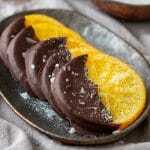 Light, fluffy and filled with chocolate! Guys, have you ever tried sweet potato pancakes? If you haven’t here is your chance! Imagine a stack of soft, fluffy and chocolate-y pancakes topped with maple syrup and butter. 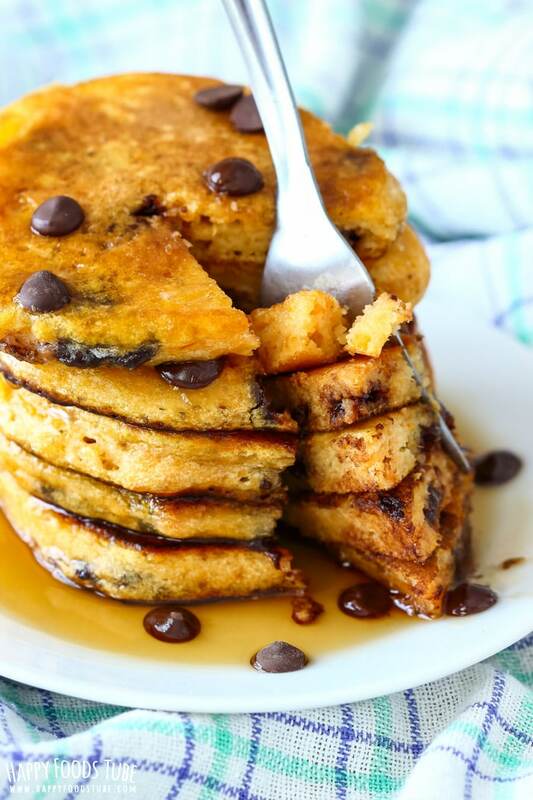 You might not believe it but these chocolate chip sweet potato pancakes are truly addictive. 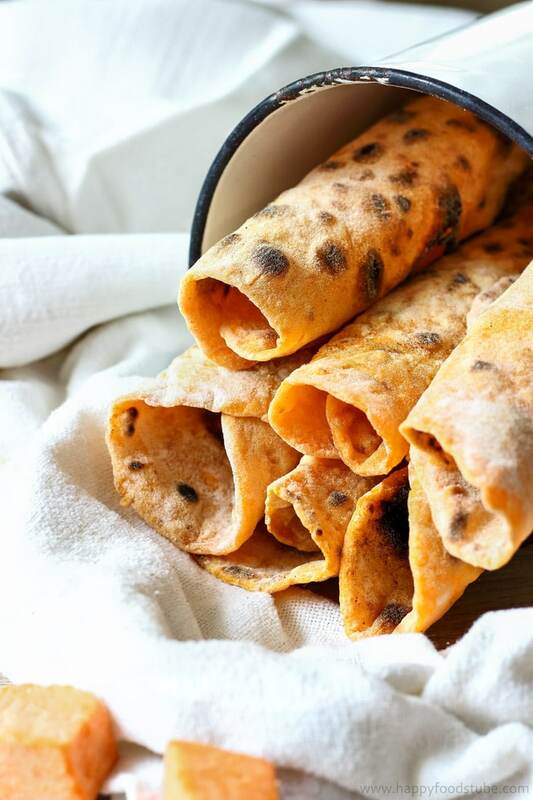 They are among my favorite weekend breakfast recipes alongside with Dark Chocolate Crepes, Apple Oatmeal Bake and German Pancakes (Dutch Baby Pancakes). Now they wold be also perfect for brunch or instead of a dessert! How to make sweet potato pancakes? The whole process is easy and pretty quick. 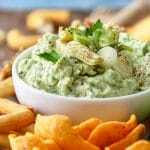 If you want to make it even quicker, cook the sweet potatoes day ahead, drain, mash with a fork and keep in the fridge. The following day all you have to do is mix all the ingredients together (apart from the oil that is) and cook the pancakes to perfection! 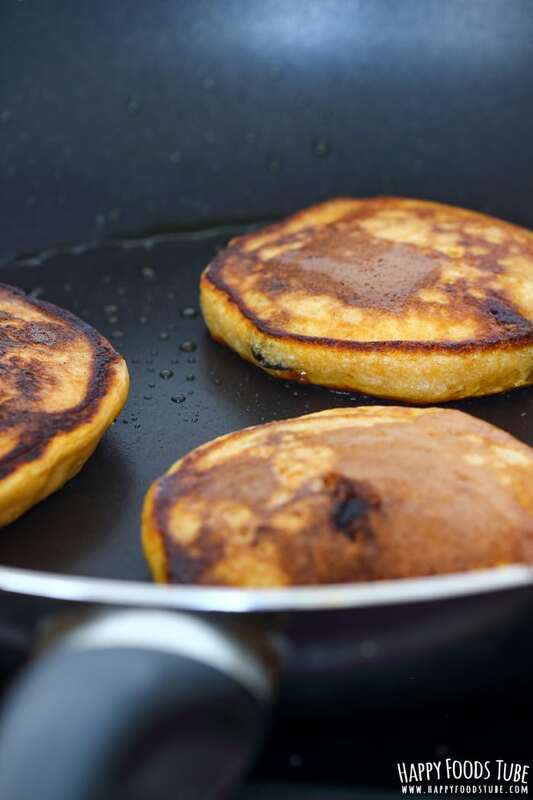 There is just the right amount of sugar used in this sweet potato pancake recipe. 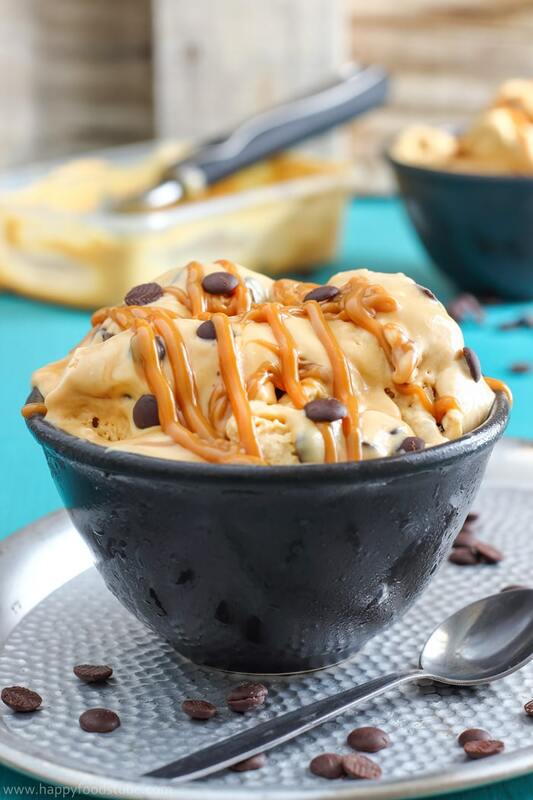 By adding chocolate chips you are adding the extra sweetness. Also there is no need to be adding more sugar when you top your pancakes with maple syrup, butter or honey. If you like your pancakes fluffy, then you’ll be happy to hear these easy sweet potato pancakes are definitely fluffy! There is actually a trick how to make them extra fluffy: Instead of adding a whole egg I separated the eggs and whipped the whites until soft peaks formed. This is carefully folded into the sweet potato pancake batter right before adding the chocolate chips. 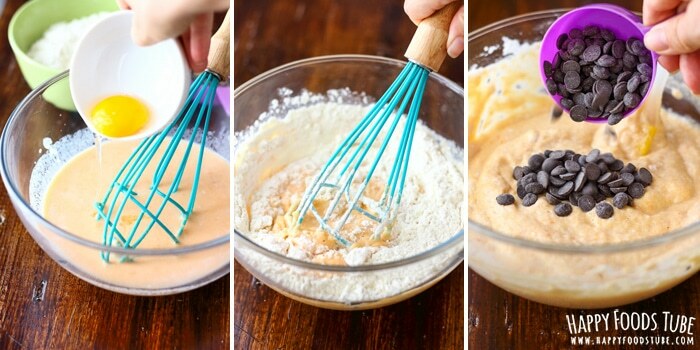 Make sure you don’t over-work the batter. Granulated sugar can be substituted with superfine sugar (US)/caster sugar (UK). You can increase or decrease the amount of chocolate chips used in this recipe. Sweet potato can be cooked in advance. Simply drain the water, mash them and store in the fridge until you are ready to use it. If this recipe is not sweet enough for you, add an extra tablespoon of sugar. 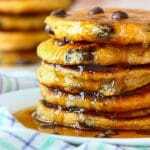 Want to see how to make Chocolate Chip Sweet Potato Pancakes? Watch the video! 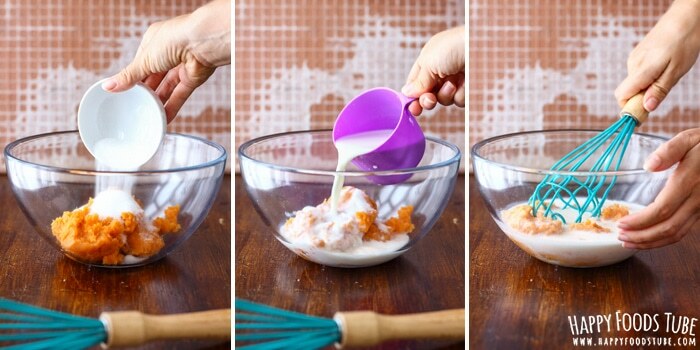 In a mixing bowl combine mashed sweet potatoes, sugar, milk and egg yolk. Mix in flour mixed with baking soda. 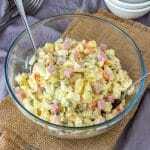 In a small bowl whisk egg white until soft peaks form. Fold this into the sweet potato mixture. At last, stir in the chocolate chips. 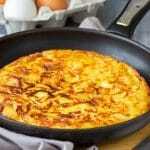 Heat a large frying pan/skillet or griddle over medium-high heat and add about a teaspoon of oil. Pour ¼ cup pancake batter onto the pan, closer to the edge. When you see tiny bubbles appear on the surface of your pancakes, flip them over. The cooking time will depend on the thickness of your pancakes. You might also need to adjust the heat. The larger the skillet you use the more pancakes you can fit there. This means the cooking time will also vary. I can fit 4 pancakes in my skillet, which takes about 15 minutes to cook. You can pre-cook the potatoes in advance and use the following day. This will save you about 10 minutes. These look fantastic! Pinning for the holidays! Yay! :) Let me know what you think when you try them! I’ve had sweet potatie pancakes once before, but served with cream cheese. Adding the chocolate chips makes me think that you’re certainly on to a winner, and these must taste fabulous. A delicious and filling breakfast. 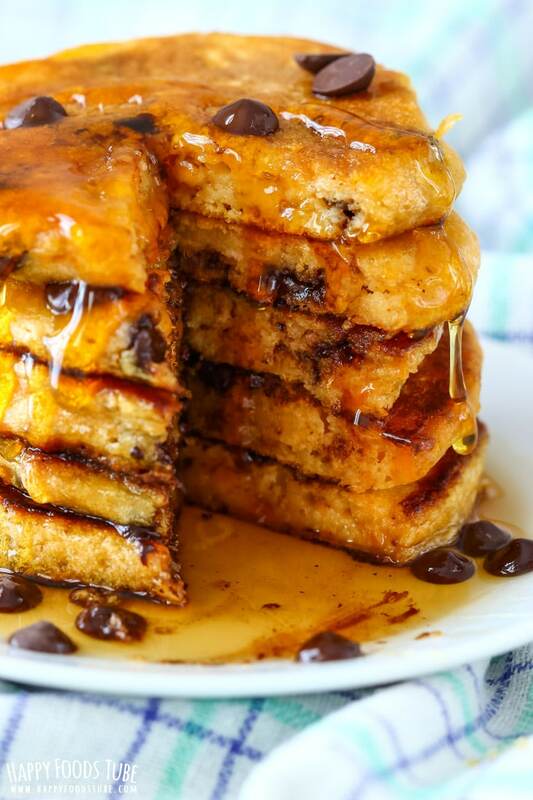 I LOVE sweet potato pancakes but I’ve never added chocolate chips to them. And now I’m thinking WHY ON EARTH NOT! I love that you mention whipping the egg whites – I recently learned that trick and while it adds an extra step the end result is so worth it. I can’t wait to try this combo! Those pancakes look incredible! 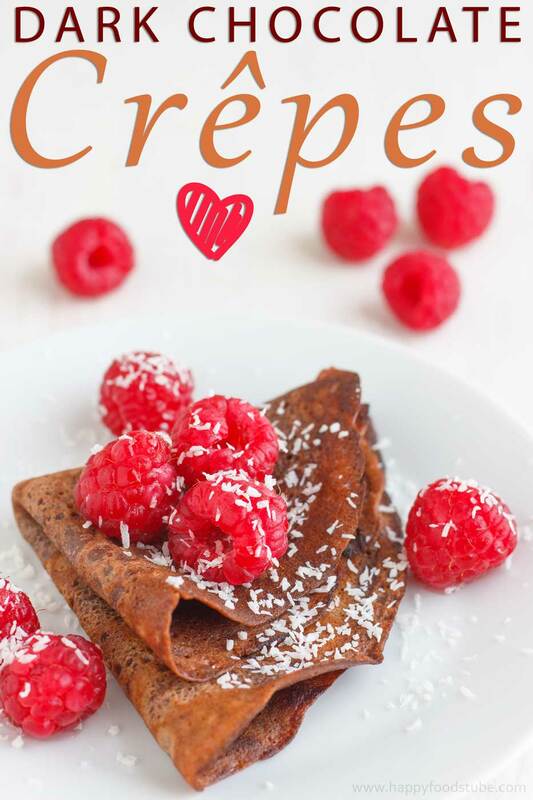 I’ve had sweet potato pancakes before but adding chocolate chips is a new one to me – definitely adding this to the breakfast list! These look fantastic! 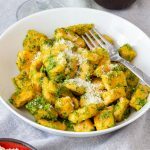 I love that you used sweet potatoes for these!